When Your Fiddle’s a Faff…. My layout ‘First’ will be appearing at the Steam in Miniature event at the Bure Valley Railway on the 9th and 10th September. I’m really looking forward to the event. 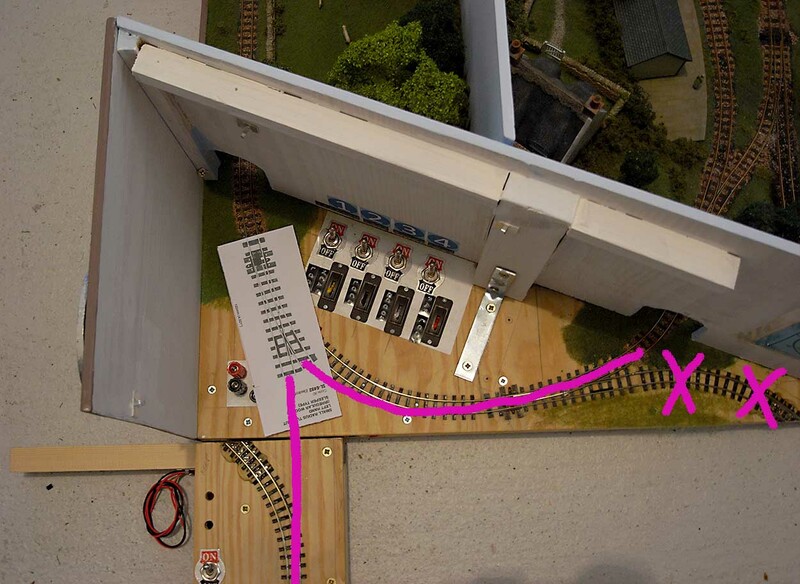 However, the current fiddle yard arrangement with it’s reverse curves (see picture above) is a faff. It works, by I have to run trains in and out of the fiddle yeard at a really low speed. 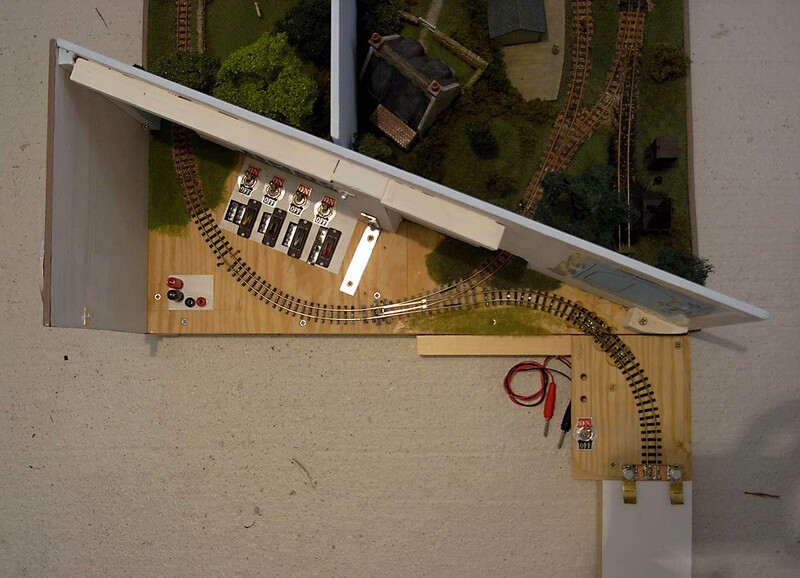 And, to be honest, I don’t fancy working operating the layout like that for two whole days. 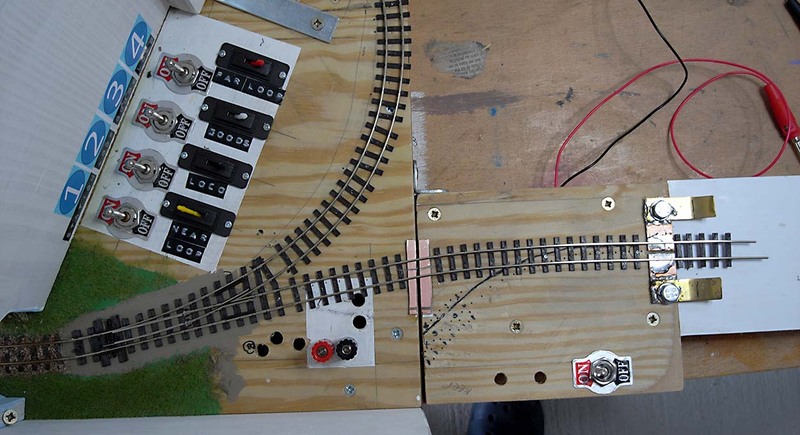 This has spurred me on to finally bite the bullet, rip up track and organise better access to the fiddle yard. After much gazing at the layout I came up with a plan. A purple plan. 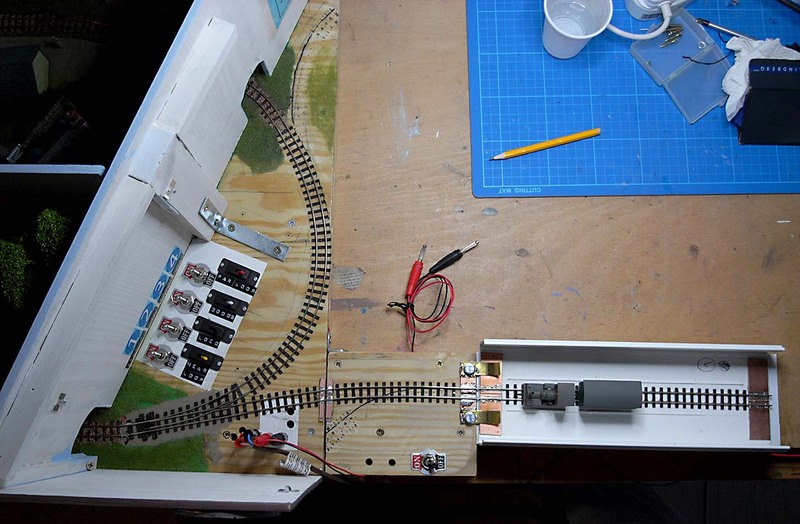 I decided to move the fiddle yard to the other side of the layout and install a point on the left hand side so that the access to the fiddle yard is virtually straight. 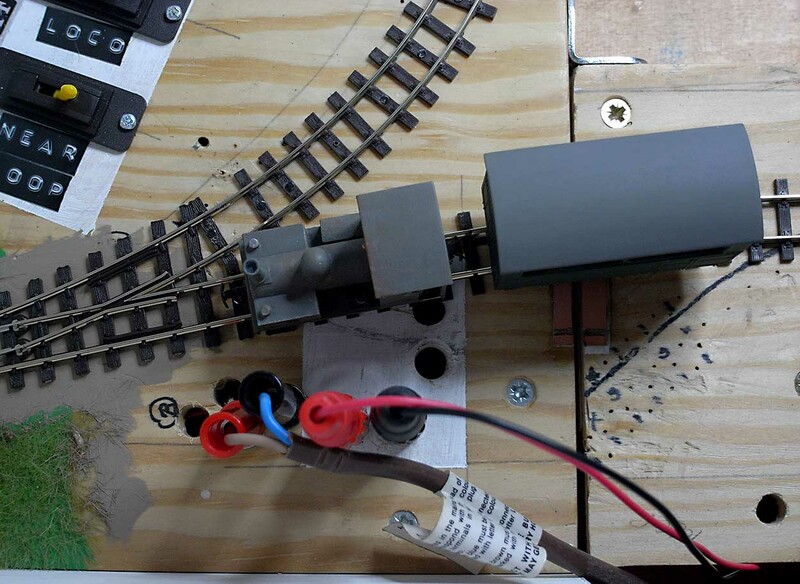 Then, rip up the existing curves and the existing point and relay the track on the curve. 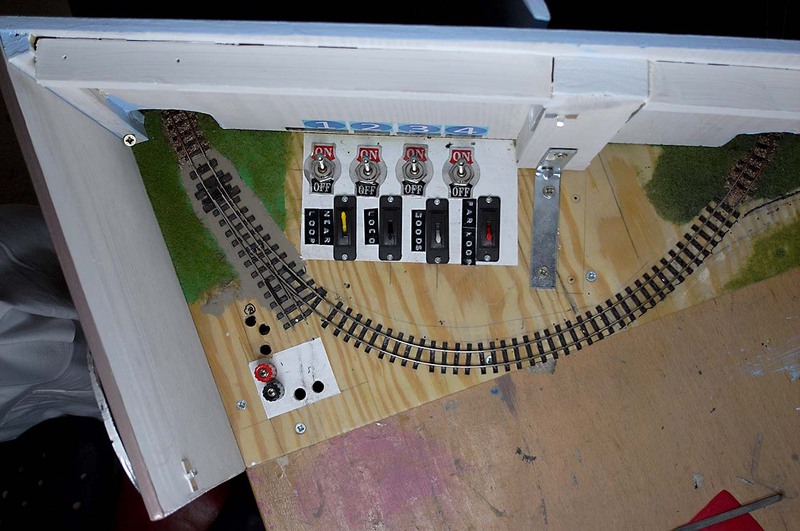 I will have to move some of the electrical connectors (partly covered by the paper point template) so that the track can run to the fiddle yard. It won’t be the perfect solution, because I’m retro fitting everything to an existing layout, but I think it will be better than the current arrangement. Decisions made, I drank a strong coffee and removed the track. I tested the position of the new point, removed a little more track and then fixed the new point and new curve in place. Connecting the track to the fiddle yard was pretty straightforward – it is virtually a straight length of track. Here it is pinned in place, before I soldered the joins to the copper strips. I repositioned the electrical connetions. 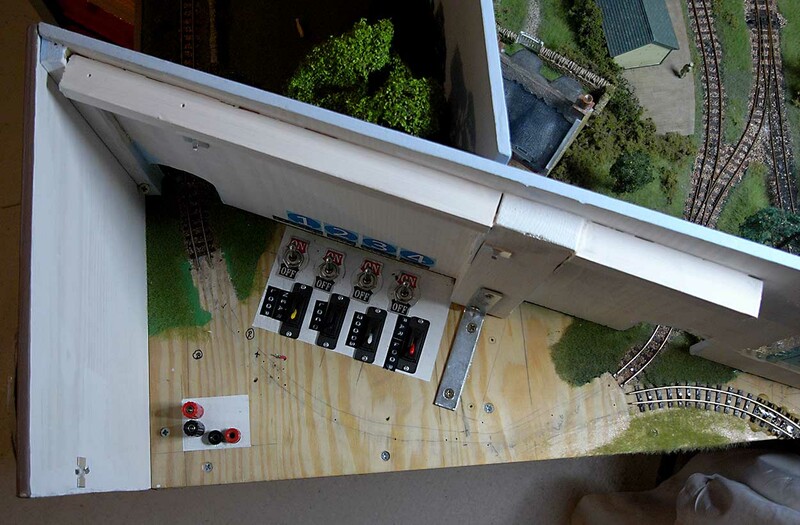 (The two connectors on the left power the point motors and those on the right provide the power to the track). I checked the clearances to check the trains will run trains past the plugs. No problem. Finally, I soldered the wires to supply the track power to the toe of the point and did some test runs. I’m very pleased to say everything worked. Best of all it is so much easier to use that the previous arrangement. I can ‘zoom’ trains in and out of the cassetes very quickly rather than having to run them at low speed round the reverse curves. In many cases I follow the old rule of: ‘if it ain’t broke, don’t fix it’. In this case a fix has been the right thing to do and I’m really looking forward to running ‘First’ for two whole days! If you go to the Steam in Miniature event please drop by and say ‘Hello’. Thanks for the Reblog Sed.